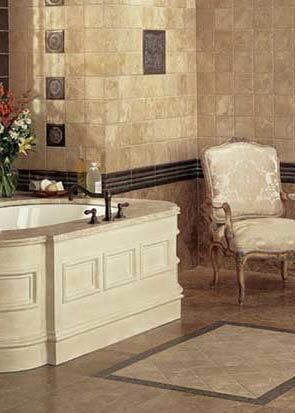 Tile is a very important part of a bathroom. 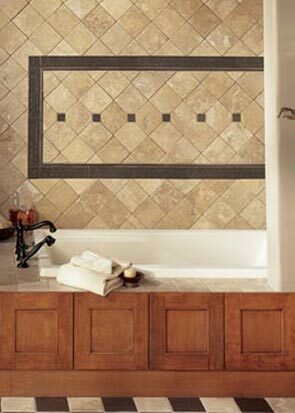 From floor tile to wall tile, most of your room's visual impact will come from your tile selection. 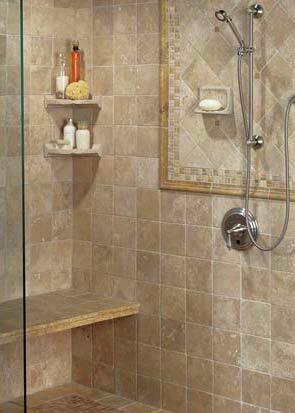 In the bathroom below, you can see how much of an impact a nice stone tile can create in your bathroom. 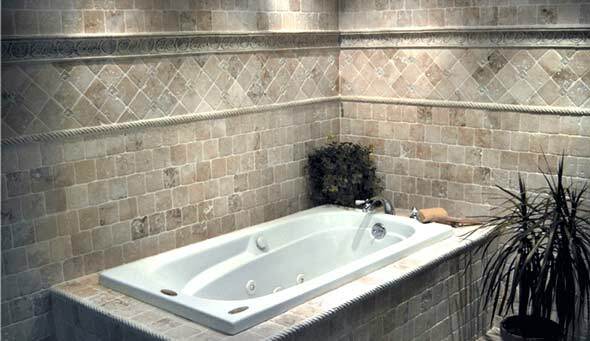 Even the tub surround is tiled. 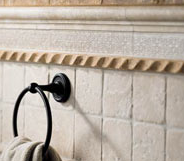 Because ceramic tile and stone can create such a visual impact, you can use tile to create a certain look in your bathroom. 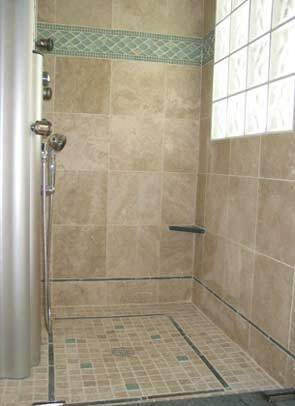 Check out the ceramic tile selection and design below that helped the homeowner achieve a modern look. 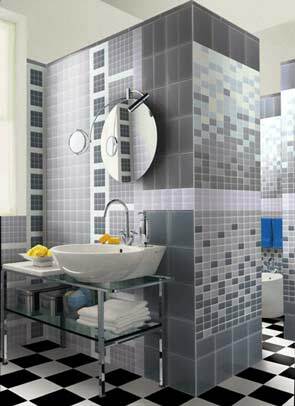 Large format tiles or the use of a variation of various metal tiles can help achieve that look. Going back to traditional looks and colors, you can see in the pictures below how to use various patterns and borders to design different tile areas with a variety of tile colors and formats. Because bathrooms are typically small rooms with small tile floors or walls, it is real easy to apply a distinctive pattern design on the wall or on the floor. 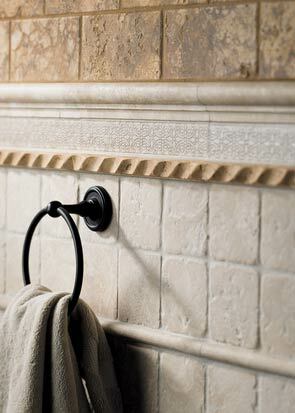 Make sure your wall or floor tile selection fits with your bathroom fixtures. In the picture below, you can notice how the homeowner combined a modern furniture and mirror with a nice light-cream wall tile and a more modern looking tile pattern.